What does Chromjuwelen Motor Öl distinguish from MATHÉ Classic Motor Oil Additive? Both Chromjuwelen Motor Öle 15W40 and 20W50 are well balanced mixtures of both base oils and the right amount of MATHÉ Classic Motor Oil Additive. The base oil and the proportion of MATHÉ Classic Motor Oil Additive are perfectly mixed and can immediately be used without an initial “run-in period”. MATHÉ Classic Motor Oil Additive is suitable for classic and vintage cars. It is especially suited for classic cars that run on engine oil SAE 30 to SAE 40. 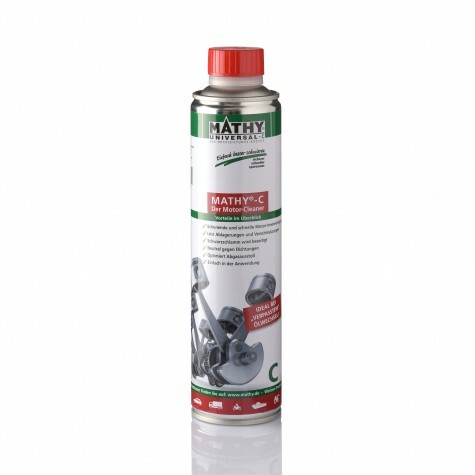 MATHÉ Classic represents the most modern additive technology without solid substances. It can be mixed with a chosen engine oil in the desired concentration. 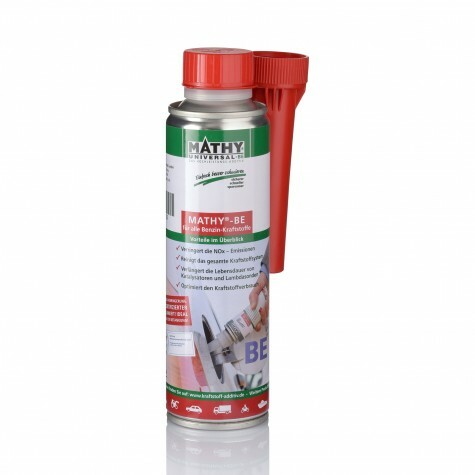 What is the difference between MATHY-M and MATHÉ Classic Motor Oil Additive? The composition of MATHY-M is more tailored to modern engine oils that are usually fully or partly synthetic. MATHY-M can be used with all modern oils of SAE grades 0-60. MATHÉ Classic Motor Oil Additive is specifically tailored to pre-world-war-II classic cars and engines of classic and vintage cars manufactured between 1950 and 1970. 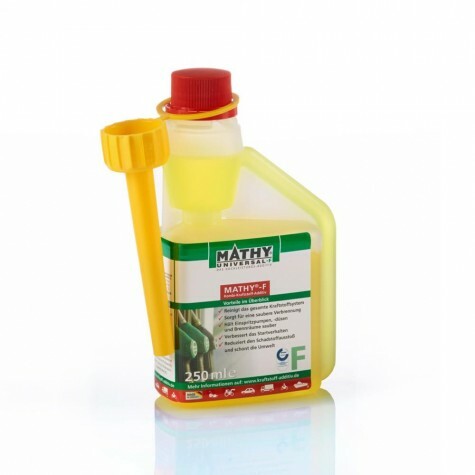 MATHÉ Classic Motor Oil Additive is free of solids and can be used with engine oils of viscosity SAE grades 30 to 40. In case you are not sure what type of oil has specifically been approved for your vehicle, please feel free to contact us. Why use MATHÉ Classic Additives for classic & vintage cars? MATHÉ Classic Motor Oil Additive is particularly well suited for engines that use slightly thicker oils. Older engines were not made with the same precision and gap dimensions as modern engines. Thicker oil counteracts increased oil consumption. Another great advantage is the excellent corrosion protection, which also protects the engine from surface corrosion. Of course, your engine is also optimally protected against further wear thanks to the improved lubricating effect of MATHÉ Classic Motor Oil Additive. 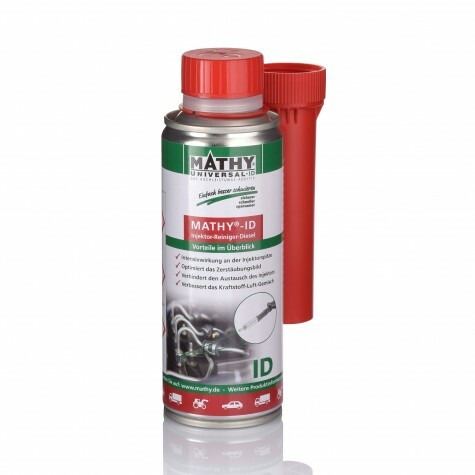 Try also MATHÉ Classic Transmission Oil Additive, MATHÉ Classic Fuel Additive (Stabilizer), and MATHÉ Classic Lead Substitute in order to protect your classic and vintage cars. Can MATHÉ Classic Motor Oil Additive also be used in remanufactured engines? Yes, especially with refurbished or overhauled engines, MATHÉ Classic Motor Oil Additive can prove two of its characteristics particularly well: Minimizing wear and preventing deposits. The engine stays clean and the oil passages remain free of deposits. 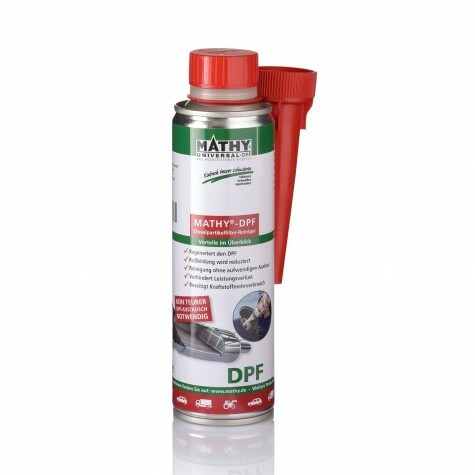 This ensures optimum oil flow through all lubricated components inside the engine. Can you use too much MATHÉ Classic Fuel Stabilizer? As long as the amount of fuel in the tank corresponds at least to the reserve volume it cannot be overused. Ideally, the fuel additive should be filled into the tank before refueling. In this case, the perfect mixing with the fuel is guaranteed. What is the effect of underdosing MATHÉ-Fuel-Stabilizer? An underdosing of the fuel additive impairs its performance, the full effectiveness cannot be guaranteed anymore. What components are protected by MATHÉ fuel stabilizer? The fuel additive protects all fuel-carrying components, like the fuel tank, the fuel lines, the fuel pump, and the injection nozzles. The inlet and outlet valves are also protected against impurities and deposits due a better fuel combustion. Is the engine performance increased by MATHÉ Fuel Stabilizer? The engine performance is not directly increased but the maximum efficiency of the fuel system and the related engine performance are ensured. The removal of deposits and impurities from the fuel system returns and retains the full power of the engine. Can adding MATHÉ Fuel Stabilizer reduce fuel consumption? The fuel additive ensures maximum efficiency of the fuel system in the engine and thus leads to the best possible utilization of the fuel. Unnecessary fuel consumption caused by deposits and impurities in the fuel system are sustainably reduced. What problems does MATHÉ Fuel Stabilizer fix? For how long can the MATHÉ Fuel Additive be used? Provided the can is closed and sealed properly, the fuel additive keeps its full efficiency for at least two years! After opening the can, the fuel additive should be used within one year. The reason for the introduction of unleaded fuels in the middle of the 1980s was the catalyzer. The catalyzer and leaded fuel are not compatible. What purpose did lead serve in petrol? The heavy-metal compounds in the fuels did not only improve their knock resistance but also accumulated at the heavily stressed valve seats. Here, they worked as dampers when the valves hit back at high speed on their seats. What are the risks when a car is driven without lead (lead substitute) in the fuel? When older engines that were previously driven with leaded fuel (according to the manufacturer’s specifications) but are now driven with unleaded fuel there is the danger that the valves always heavily impact on their valve seats and the important valve clearance becomes too small. This then leads to the valve overheating which can lead to costly damages at the valves or even at the cylinder head. This can only be prevented if lead substitute additives are added to the unleaded fuel or if the engine is modified with stronger valves and valve seats. How did lead compounds (lead substitutes) work in fuels? Lead compounds in fuels previously worked as knock compressors and reduced wear on the valve seats.